Microsoft has led the console market for the last year and a half. As gamers prepare for the next (and possibly last) iteration of dedicated game consoles, the Xbox 360/PS3/Wii console wars are largely a thing of the past - save, perhaps, for Microsoft, Sony, and Nintendo themselves. While avid men and women of the console persuasion hoard their dough (and bemused PC gamers look on from the heavens above), the Big Three are still eager to push as many devices out the door as they can before obsolescence sets in. Microsoft, at least, need not worry: The Xbox 360 has dominated hardware sales for the last 18 months, capturing over 40% of the market for 16 of them. 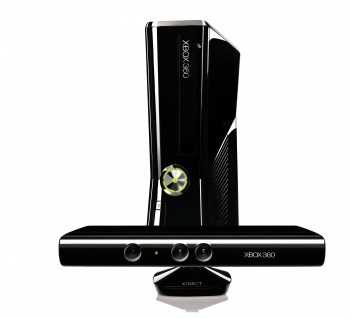 According to the NPD Group, the Xbox 360 accounted for 47% of console sales in the U.S. during June 2012. Combined with software and accessory sales, this made Microsoft a cool $272 million for that month alone. In addition to beating the other two consoles individually, these numbers represent more than June's combined PS3/Wii sales. While Microsoft claims that part of this success is due to the Xbox 360 playing host to three out of last month's bestselling four games (Diablo 3 being the obvious outlier), the other three top games (Lego Batman 2: DC Super Heroes, Ghost Recon: Future Soldier, and Max Payne 3) were available for the PS3 and PC as well. Microsoft is obviously doing something right to achieve such consistent and lucrative success, but since their top-selling games are multiplatform releases, it stands to reason that the PS3 could theoretically be doing just as well with the right kind of marketing push. As for the Wii, Nintendo is probably busy preparing for the WiiU. Furthermore, since the Wii has sold almost 100 million units so far, it can probably rest easy for now.